Glasgow's latest residential development, Vienna Apartments by Premier Burrell, a joint venture between The Burrell Company and The Premier Property Group, is offering a new string to its already thriving bow with the sale of first-rate commercial accommodation. The mixed-used development, located between Mitchell Street and Union Street, boasts three well positioned, spacious sites ideal for possible restaurant, café or retail use. All the premises are a short walk away from the city's prime shopping precinct of Buchanan Street and St Vincent Street as well as located in the heart of Scotland's largest city. Glasgow based chartered surveyors Creevy LLH, which has recently joined forces with the International Jones Lang LaSalle Group will lead the sales of the commercial space which is sure to receive interest from both owner occupiers or investors. Alan Creevy of Jones Lang LaSalle, said: "I'm confident that these commercial opportunities will be snapped up in a short period of time due to the popularity of the locale. All three premises are at the heart of the city centre, with thousands of people passing nearby every day. "All of the properties offer basement and ground floor space, some with provisional restaurant licences already in place. This is an excellent opportunity to tap into the vibrant restaurant trade in a city known for its fabulous restaurants and bars." Designed by Glasgow-based architects Gordon Murray and Alan Dunlop, the development takes its name from its close proximity to the Mackintosh building and Mackintosh's strong links with the Viennese School. Phase one will consist of the regeneration of the warehouse into individually styled apartments, each varying in size and style while Phase two will see the construction of a completely new and modern 10 storey building adjacent to the existing building. Andrew Burrell, managing director of The Burrell Company, said: "We have already received a great deal of interest in the converted warehouse apartments and are now delighted to offer three fantastic commercial units. "It's a superb opportunity for someone looking to set-up business or for a current restaurant of café owner looking to expand their business within what is soon-to-be a thriving and vibrant community. Its close proximity to one of the busiest shopping streets in Scotland is also a major attraction." 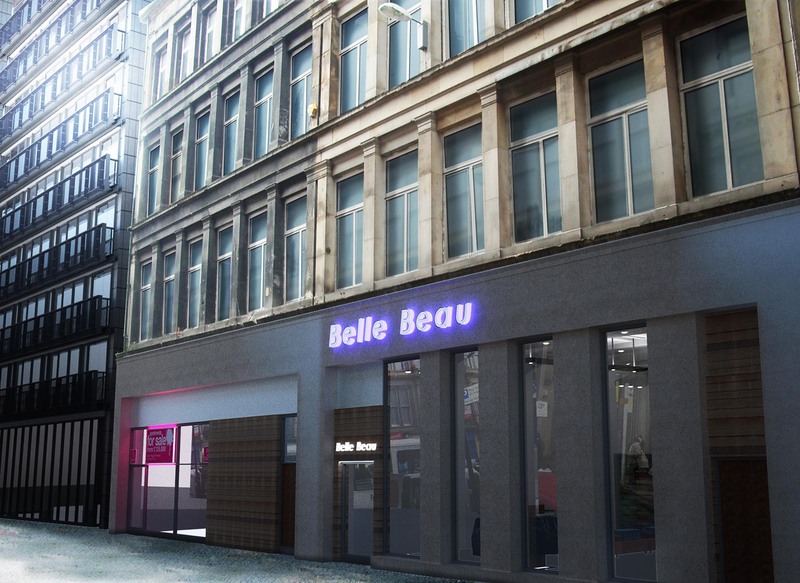 Russell Wilkie of The Premier Property Group said: "We are delighted to be part of this exciting regeneration project which will see this previously overlooked section of Glasgow city centre transform in to a very desirable area to work and live in. Within minutes walk of Glasgow Central Station it is ideally situated for both city dwellers and commuters."